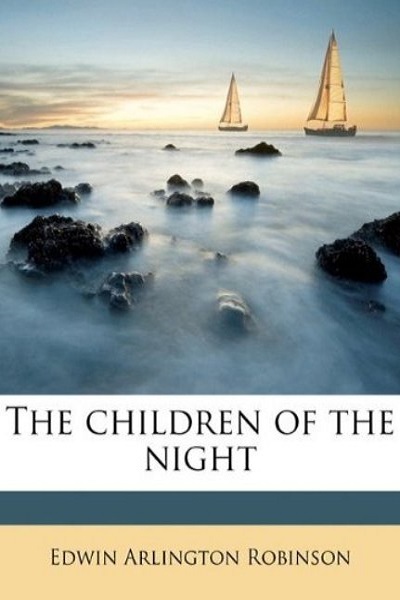 Here’s what you need to know about Edwin Arlington Robinson’s The Children of the Night. The 1897 collection includes “Richard Cory”, the poet’s most celebrated work, which has been adapted into a play by A.R. Gurney, a short story by Carolyn Mullen, and three separate songs by Simon and Garfunkel, The Mezingers, and John Duke respectively. Sure, “Kosmos” is great and all, but this one poem makes the book a momentous piece of literature. “Richard Cory” deals with the notion of fame and achievement as sources of alienation. Consisting of sixteen iambic pentameters divided in four quatrains, it tells of a man, Richard Cory, whose wealth, success, and popularity have estranged him to the point of suicide. The speaker is a non-specific countryman in a small community, discussing Richard Cory’s death. Richard Cory is introduced in the first quatrain. He is an attractive man, “a gentleman”: “clean flavored, and imperially slim”. Words such as “crown” and “imperially” associate him with royalty. He is depicted as a higher being. He must descend to reach the town, where the rest of the populace resides: “Whenever Richard Cory went down town”. The townsmen look at him from “the pavement”, thus from below. Already this aspect isolates him from the rest of the world: “We people [as in everybody but Richard Cory] on the pavement looked at him”. However, as explained in the second quatrain, Richard Cory’s alienation is in no part due to his behaviour or attitude. A polite and endearing person, Richard Cory “fluttered pulses when he said,/ ‘Good-morning’”. The fact that he takes the time to greet the townsfolk demonstrates that he doesn’t fit the clichés regarding wealthy and powerful men: he is not a snob or a self-involved megalomaniac. Rather he seems a warm and simple good-natured man who “was always human when he talked”. He understands the elegance of discretion and humility: “And he was always quietly arrayed”. Not only does Richard Cory embody everything a man could ever wish to be, he also appears to possess everything a man could wish to have. This is emphasized in the third quatrain. Richard Cory is extremely wealthy, “richer than a king”. Again, he is compared to royalty. He is also well bred, cultivated, and “admirably schooled in every grace”. The use of the word “admirably” alludes to the fondness the villagers have toward Richard Cory. They admire him instead of jealously scorning him. This comes as much of a surprise, considering Richard Cory is “everything/ To make us wish that we were in his place”. However, the true surprise of the poem is its ending: Richard Cory went “home and put a bullet through his head”. The situational irony is as shocking to the reader as Richard Cory’s suicide is to the townsfolk. The final quatrain recreates this feeling of surprise by preceding Richard Cory’s death with a sense of monotony. The first half of the quatrain conveys the villagers’ routine. The two lines are a depiction of their difficult way of life: “So on we worked […] / And went without the meat, and cursed the bread”. The permanence of the townsfolk’s hunger is accentuated by the article “the” in front of “meat” and “bread”. The speaker’s familiarity with the latter notions hints that his misery is felt every day, emphasizing the ironic nature of Richard Cory’s suicide. Told from the point of view of a simple villager, Edwin Arlington Robinson’s “Richard Cory” is about a man who died of success. In spite and because of his phenomenal popularity, his class, and his wealth, Richard Cory felt isolated. Adored to the point of alienation, he was beloved but never truly loved. Also, the narrative poem is featured in The Children of the Night, so, you know, buy it and stuff.